Double deck blackjack is the best game offered at most Las Vegas casinos. The minimum bet on the Strip is often $25 or more. The rules can vary from one casino to another, or even from table to table within the same casino. The best casino for double deck blackjack as of this writing is the M Resort, which offers a few games with a miniscule 0.14% house advantage against a basic strategy player, because of the rule mandating that the dealer stands on soft 17. Other excellent games are at MGM Grand, Mirage, Bellagio, Mandalay Bay, and Aria, all of which also offer double deck with the rule mandating that the dealer stands on soft 17. However, to get this good rule, the minimum bet is $50 or more. Treasure Island also offers this game at only $25 minimum, but strongly discourages and often bars play by anyone who understands how to play blackjack correctly and bets more than very low stakes. There are numerous casinos offering double deck blackjack at which the dealer hits soft 17, a disadvantage for the player. They are listed in the chart below. There are also casinos which seek to take severe advantage of the unknowing patron, by short-paying blackjacks at 6-5 instead of the normal 3-2. A game that pays 6-5 should be avoided entirely, regardless of the number of decks. Because the 6-5 games should be avoided and we do not even consider them to be genuine blackjack, we do not list them in the survey below. 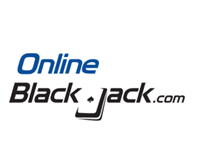 Las Vegas Blackjack Surveys: Single Deck and Shoe games.